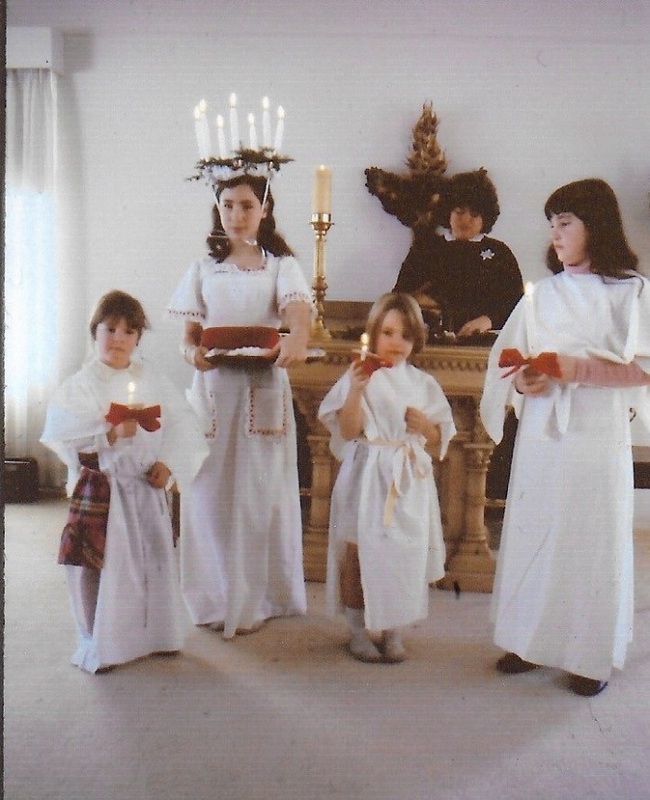 Becca Tureen dresses up as Santa Lucia, with children as attendants, when our congregation was Salem Acres Community Church. 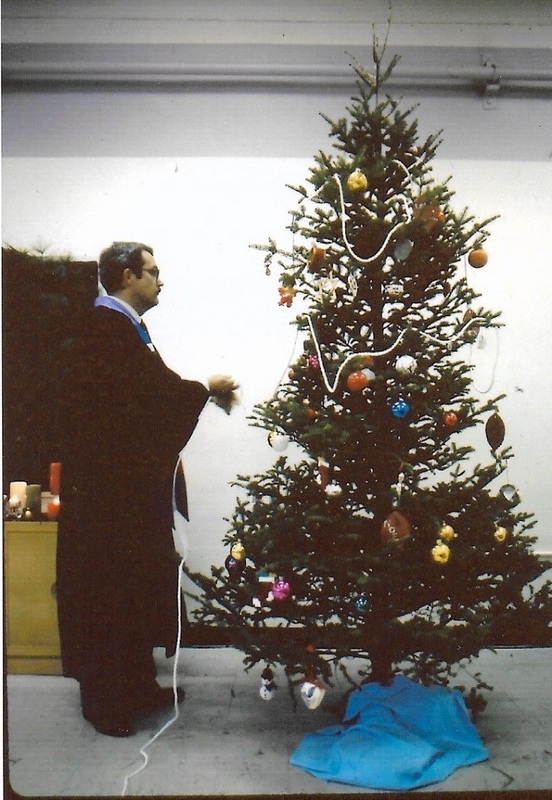 Photo is from the early 1980’s. Rev. 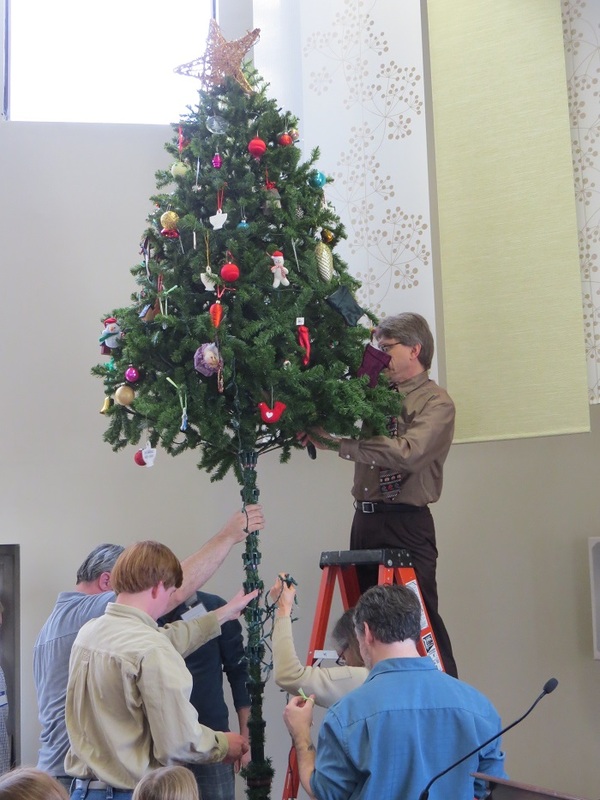 Doak Mansfield winds a chain around the Christmas Tree to symbolically bind the congregation together. 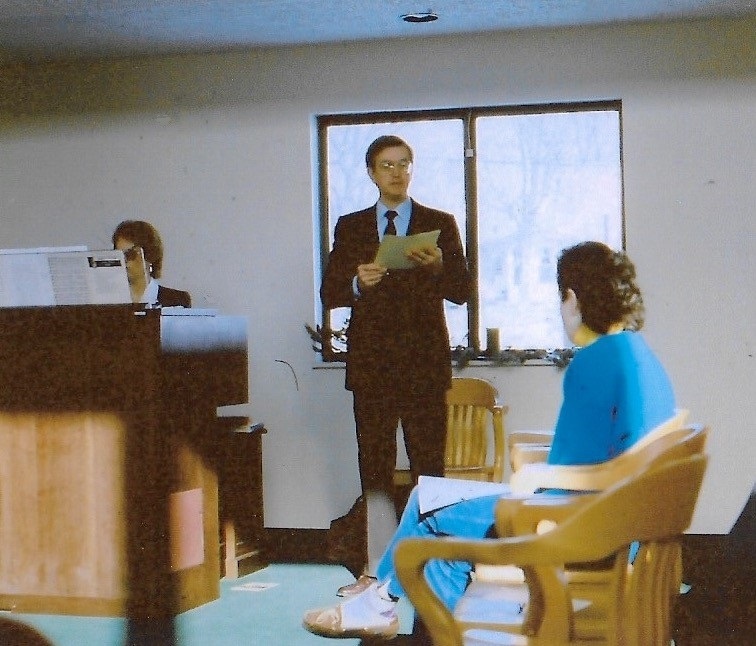 This was when our congregation met at H.D. West Community Center. 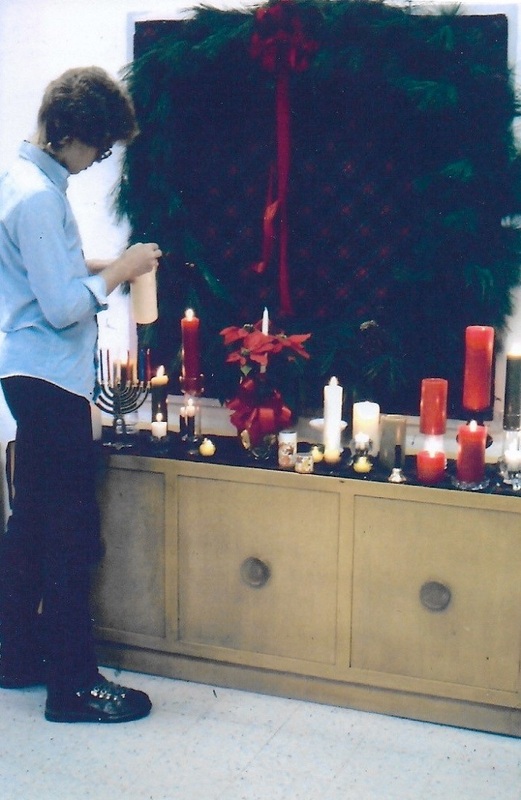 A youth lights candles at H.D. West Community Center. Rev. 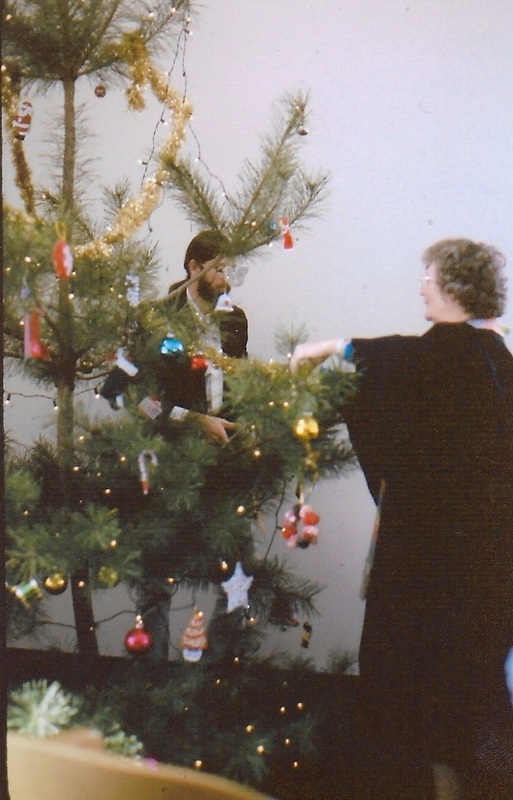 Elinor Artman helps decorate the first Christmas Tree at Heritage UU Church, December 1985. 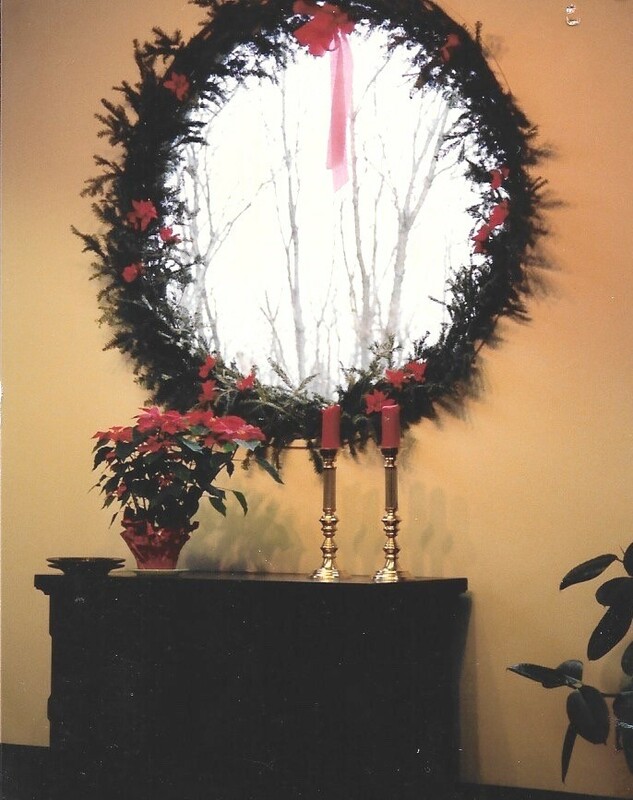 First window decoration at Heritage UU Church, December1985. Bob Booth sings during Christmas time at Heritage Church. Connie Booth plays the organ. 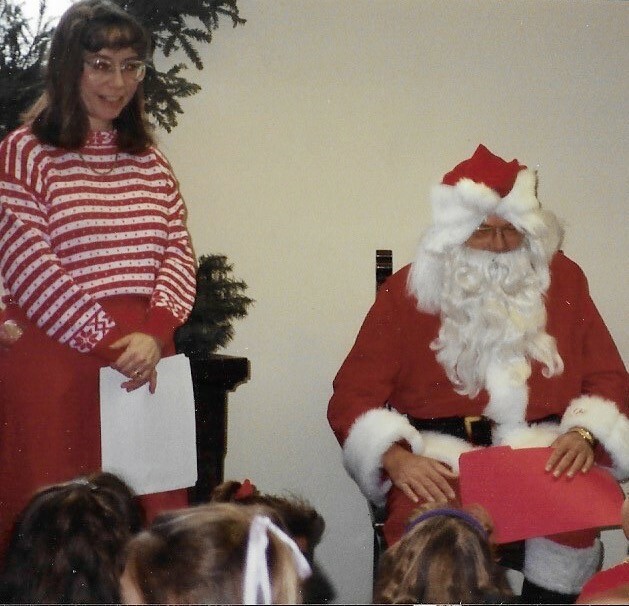 Longtime member Les Nomeland plays Santa at Heritage Church. 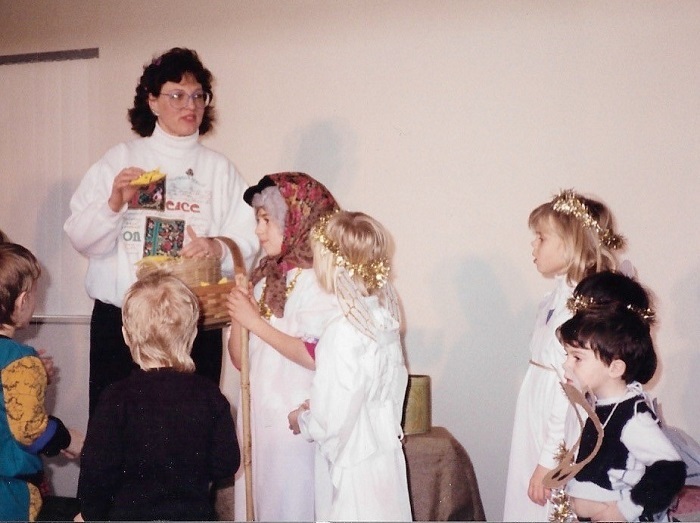 Children prepare for the Christmas pageant at Heritage Church. 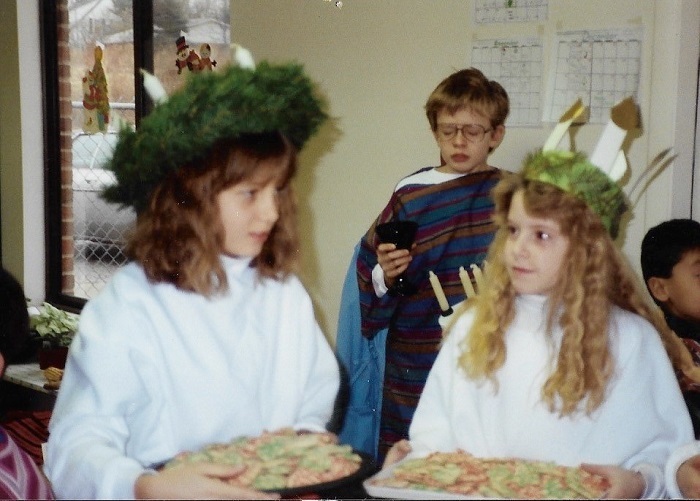 Children during Christmas at Heritage Church. 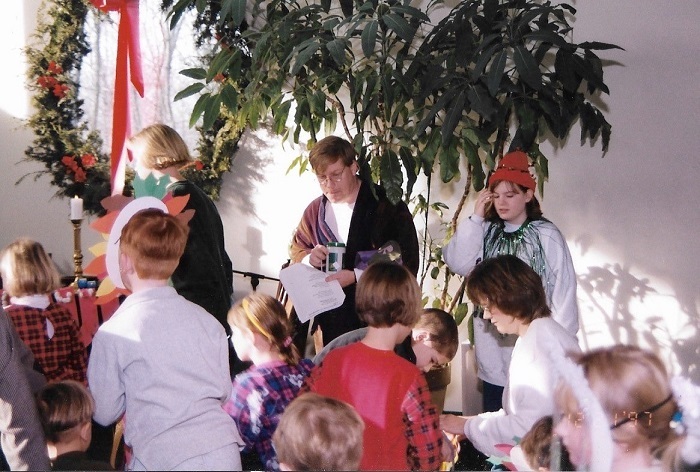 Bill Lyon and others in the Christmas Pageant at Heritage Church, 1997. Rev. 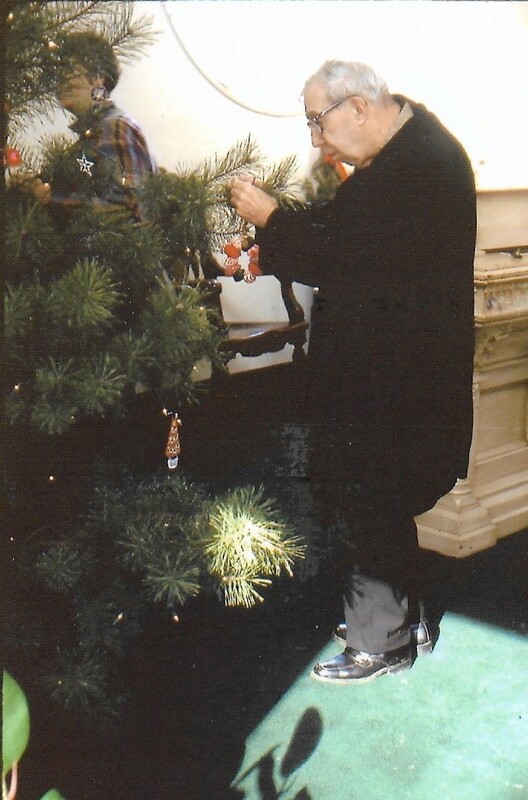 Bill assembles the top of the Christmas Tree. 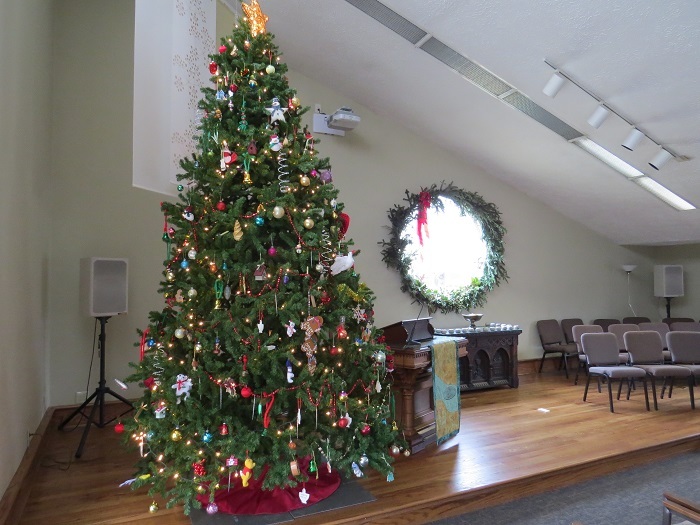 Christmas Tree at Heritage Church.